On the path to a healthier lifestyle, we have consistently heard our parents, doctors, and significant others say, "EAT YOUR VEGETABLES!" It is a common phrase most people have taken into consideration since childhood. But what're vegetables and why should you eat them? While they are generally known for not having seeds, there is also a series of crossovers that are considered "botanical fruits" by chefs, such as eggplants, tomatoes, and bell peppers, that are considered vegetables to your everyday gardener. When you look at your health, there must always be a reason for why a certain food group is important to your diet. ﻿﻿﻿Vegetables provide important nutrients that can actually reduce the risk of chronic diseases. One of those key nutrients is protein. Protein is the building block of the body, creating hair, blood, connective tissues and antibodies. Especially important for those who are vegan or vegetarian, protein is essential for your body to run as a well-oiled machine. 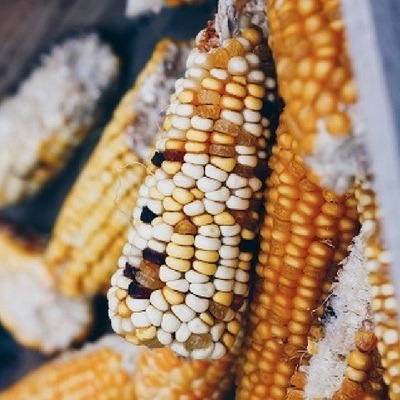 No, not the seeds you find at the bottom of your popcorn bowl. Native to East Asia, soya beans, or soybeans, are found in the legume family. 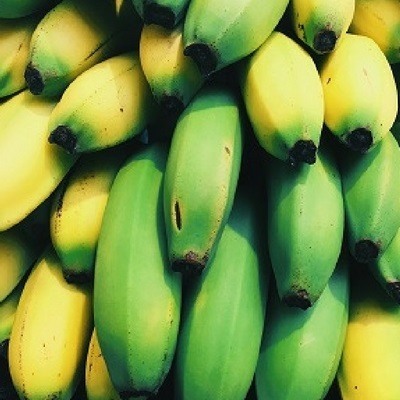 Not only that, they also hold a heavy makeup of fiber, zinc, c﻿﻿al﻿﻿cium, B vitamins, and iron. Peas are considered a "botanical fruit" as they are developed within the ovary of a flower. Another member of the legume family. 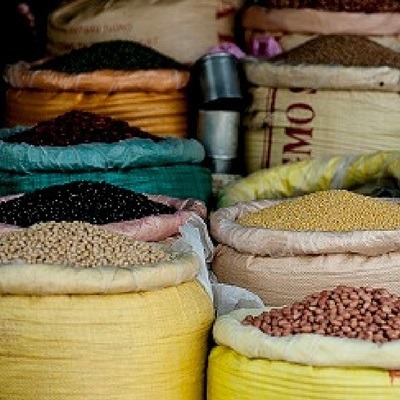 Lentils are also packed with other nutrients such as potassium, iron, and folate. The biggest culprit prompting, "EAT YOUR VEGETABLES!" is absolutely broccoli. If pretending these little tufts of vegetables are trees does not get you to eat them, their protein content will. 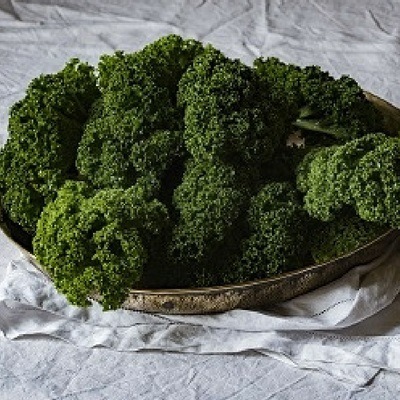 Holding 2 grams of protein and 5% of the RDA of fiber, kale is considered one of the most nutritious foods in the world. 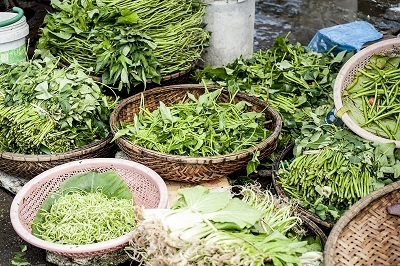 A popular leaf vegetable in India, moringa oleifera, or "drumstick", is very high in protein and thus popular amongst healthcare professionals to combat an array of illnesses. In fact, this leaf from the "Miracle Tree" contains twice the amount of protein found in yogurt and even seven times the amount of vitamin C found in an orange. More commonly known as okra, lady finger is a flowering vegetable containing 2 grams of protein. ​A medicinal vegetable, it has been known to treat diabetes and has also been used as a preventative measure for kidney disease. Often overlooked, cauliflower holds an incredible 11 grams of protein per serving and contains countless other nutrients including manganese, biotin, vitamin B1 (thiamine), B2 (riboflavin), B3 (niacin), potassium, fiber and more. Turnips are a bulbous root vegetable mainly grown in more temperate climates, but just as healthy no matter their location. 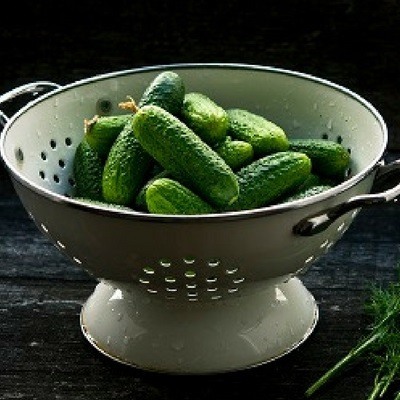 Another example of a "botanical fruit" due to its seeds, zucchini is a versatile squash finding its way from raw vegetable platters into an array of baked goods. Containing 2.4 grams of protein, zucchini offers large amounts of fiber, manganese, and vitamin C, the nutritional list does not stop there. 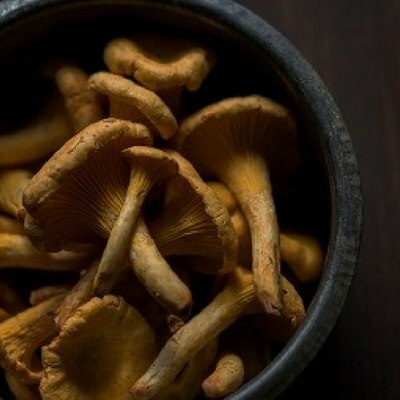 Mushrooms are a unique species of fungi with an even more unique nutrient profile. Not only do they hold nutrients found in vegetables, including 0.6 grams of protein, but also nutrients more commonly found in meats and grains. It is also the number one plant source of vitamin K and contains those helpful antioxidants every diet looks for. This flowering vegetable is actually a variety of thistle. 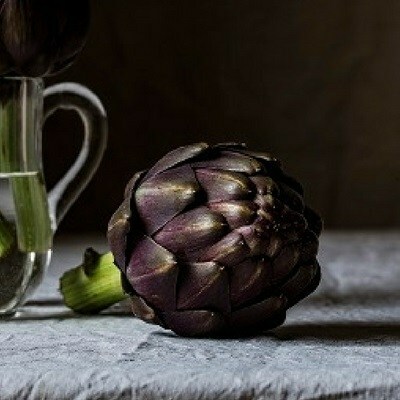 Artichokes, while low in fat, contain about 4 grams of protein per serving. Broad beans, also known as fava beans, contain 10 grams of protein per one-quarter cup of serving. They are extremely low in fat and have been known to help with weight management and cardiovascular issues. French beans or green beans as they are more commonly known are thin, crisp beans found within long pods. Per cup, you will find about 1.8 grams of protein. Like other legumes, French beans contain a high volume of nutrients including fiber and folate. Containing 2.3 grams of protein (for a 100 grams of serving), mustard greens join the list of the world's healthiest foods. Coming from the leaves of the mustard plant, this bitter veggie has been even used in soups. Mustard greens belong to the same group as broccoli and cauliflower, thus labeling them for a study on their health benefits. Unlike broccoli, however, the nutritional value actually increases when the vegetable is steamed. Fenugreek is often found used as a herb for seasoning and in many Indian curries. ​Known for its work in reducing inflammation, the leaf of a fenugreek plant has many nutritional properties including 2.5 grams of protein. Generally known as simply, beets, beetroot is the root portion of a beet plant and comes in various sizes, shapes, and colors. Beets are packed with fiber, vitamin C and potassium and have virtually no fat. There is nothing better than a crunchy bell pepper on a hot day. 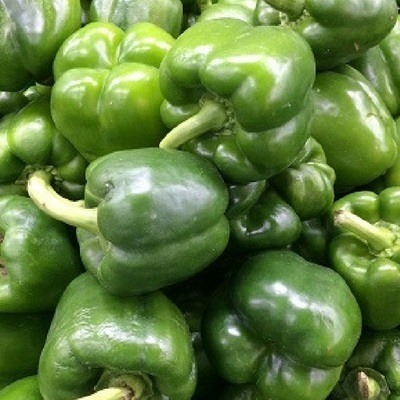 Luckily, with 1.3 gram of protein per pepper (one cup of 149 grams of chopped green bell pepper), they boast 200% of your daily value of vitamin C.
Best known for helping to lower blood sugar levels, the bitter gourd or bitter melon, yields 1 gram of protein. While its protein composition is low, it is high in dietary fiber, minerals, and antioxidants. Peanuts may be the winner when it comes to protein-rich food sources. Whether eaten raw out of its shell or in butter form, peanuts contain a generous 38 grams of protein per one cup serving. Step aside oranges! 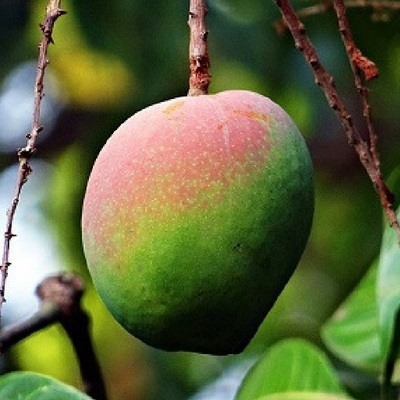 Mango has become increasingly popular due to its antioxidant compounds and makeup of fiber, vitamins, and minerals. 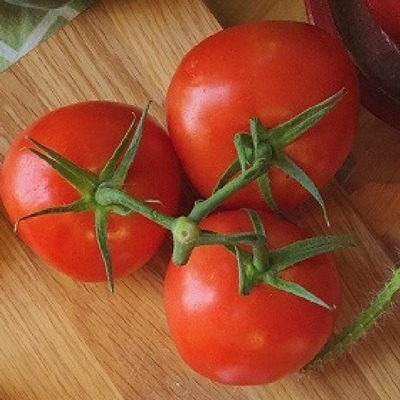 Tomatoes are a prime example of a "botanical fruit" and are immensely popular. While only holding 1.3 grams of protein per tomato, they reap great nutritional benefits with their other attributes. Surprisingly, a potato contains 4.3 grams of protein in total. In fact, one large potato holds about the same protein as a serving of cheddar cheese. Potatoes are extremely common around the world for their nutritional value. Many believe these two potatoes are completely different, however, yams are actually just a variety of sweet potato. ​Both contain between 2.1-2.3 grams of protein each and are extremely affordable, which aids their popularity. These varieties of potatoes are very high in vitamin A, fiber, and potassium. 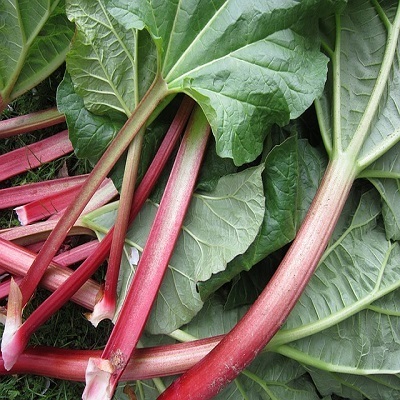 An herb, rhubarb has been used in traditional Chinese medicines for thousands of years. Water, water, everywhere! Or in this case, vegetables. Here you have learned about twenty-eight high protein vegetables to suit your protein needs. While there haven't been any negative studies on the overindulgence of any of these particular choices, it is important to monitor your health when introducing a new food into your diet. If you notice any intrusive side-effects, take note and mention them to your doctor.